More and more organizations are coming to the realization that purpose – or a Big Audacious Meaning – is a powerful asset. With so much attention being directed to purpose, it's no surprise that we're seeing organizations rush to adopt one – even when it causes us to question the validity. Look at Gillette's recent endeavor. They decry toxic masculinity. And they encourage all of us to be better. Even going so far as to evolve their ages-old tagline from "The best a man can get" to "The best men can be". This is a great message that needs to be championed. There is no question about that. It is a purpose worth pursuing. That's not the issue here. The issue is whether or not we believe that Gillette has earned the right to be the champion. At first blush, it feels like the answer is 'no'. Gillette's image has been one of über maleness with a little narcissism thrown in for good measure. If we don't look any further than the controversy-stoking video, we would say that Gillette's past harms their ability to claim this purpose. You can’t just create a video or run a few commercials and then claim to be the champion of the issue you have chosen. We need to understand why you are qualified for this mantle. But more importantly, we need to be shown that you are more than just a lot of talk. We play a role in helping men be their best on the outside. We think we can also help spread the understanding of how they can be their best on the inside. To be fair, Gillette has made an effort. If you go looking, you can find the deeper dive on their website under the "The Best Man Can Be" tab. It's a nice explanation of the effort that includes the recognition that Gillette has a larger responsibility. And, it even outlines steps they will take in how they portray what it means to be a man. 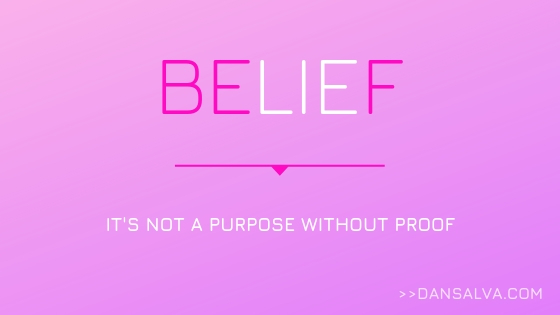 This starts to make this purpose-driven approach more believable. They go even further by pledging $1 million per year for the next three years to: "…non-profit organizations executing programs in the United States designed to inspire, educate and help men of all ages achieve their personal “best” and become role models for the next generation." All of this makes the whole thing seem more believable. But it is befuddling that I had to go digging to find all this. And at the end of the explanation, they revert back to their old tagline (The Best A Man Can Get). It makes me wonder just how serious they are. I want to give Gillette credit for taking on this purpose. But only if it proves out that they are really serious about making a profound difference. Otherwise, this will become another piece of chicanery foisted on us to manipulate our emotions so we stop going to Harry's or Dollar Shave Club to buy our razors. How will Gillette do that? By making it easier for us to understand how they're going to walk the walk. This is an important issue to address, but the effort needs to be real and sustainable. Otherwise, it’ll just feel like another trumped up trick to play with our emotions. If Gillette wants us to be the best that we can be, then they’re going to have to be serious about being better themselves.